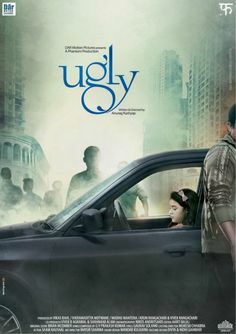 Anurag Kashyap’s UGLY – First Look. Anurag Kashyap‘s ‘Ugly’ – Exclusive first look. The film will have its World Premiere at the Cannes Film Festival in Directors’ Fortnight section. It stars Rahul Bhatt, Tejaswini Kolhapure, Ronit Roy, Girish Kulkarni and Siddhant Kapoor. ‘Ugly’ is a thriller, a simple kidnap drama but it actually deals with lots of things. It deals with relationships, our patriarchal system, how men look at women, domestic violence. It’s a very personal drama in the shape of a thriller, said Kashyap in an interview.